"Everything is gonna be alright!" This is the kind of optimism and attitude an Aries carries with them. If you are looking for some action, the Aries ruled by the planet of action Mars is your right choice. They are the youngest sign of the zodiac and hence they are full of life and youthful in nature. They have certain innocence around them; they can be childlike and at the same time be headstrong in nature. Their “never say die” attitude can take them pretty far and when they set their goals they pretty much know how to achieve them. The fire and zeal in them is quite fascinating and attractive but at the same time it makes them short tempered too. They crave for attention and they like being in the limelight. Sometimes they can get over ambitious and they can kill (not literally) to take the centre stage because of which they can have some bitter relationships. They can be spendthrifts and their expense can exceed their income sometimes leaving little or no room for savings. When it comes to food, Aries being a fire sign goes with redder the better! Although they prefer hot and spicy food, they need to avoid them to help fight acidity. Food that are good for liver and kidney like lentils, cucumber, green leafy vegetables, dry fruits like nuts and apricots, olives, lots of fruits like apples and bananas are good for them. They should also indulge in lots of dairy products like cheese, curd, milk and butter milk to increase their calcium intake. Fish is also good for their brain. Aries rule the head and therefore they should take good care of it. They can be prone to severe headaches like migraines, head injuries due to accidents. They love action and speed thrills them, they enjoy activities like car race, bike race etc. However, such activities can lead to accidents that might cause head injuries which is why it is advisable that they wear helmets when indulging in such activities. 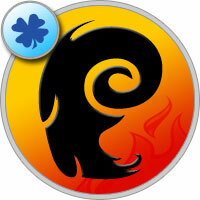 Aries can be tough and strong, they are action freaks and very energetic. They hate following routines and therefore you will hardly find them doing regular work out in the gym. The other parts of the body that they need to watch out are their kidneys and liver. They can develop infections on these parts, maybe kidney stones, liver disorders, indigestions etc. They need to take care of their food habits, do away with unhealthy diet and also should not over work. Aries are trend setters. They are probably the first ones to start a new fashion or maybe the first ones to try boyfriend T shirts. They have bold sense of style and they hate the boring conservative look. They are very creative and therefore they love experimenting with their looks. You will find the latest trends to the oldest outfits in their wardrobe. They are ruled by the red planet Mars and hence they are very attracted to that colour and you will usually see them wearing red. They can look stylish and fashionable in whatever they wear. Since this sign rules the head, any headgear will enhance their look, for instance pretty hair bands, hair clips, hair pins, hats etc. As far as the makeup is concerned, they should apply daring eye shadows and of course what they love the most, their most favourite red lipstick.